﻿ SS 304L Flanges, 316L SS Pipe Flanges, SS 904L Flanges Exporter. SS 304L Slip On Flanges Manufacturer, UNS S31603 Nippo Flanges, Stainless Steel 316L RTJ Flanges, SS UNS N08904 Pipe Flanges Supplier, SS 316L Weld Neck Flange Dealer in India. 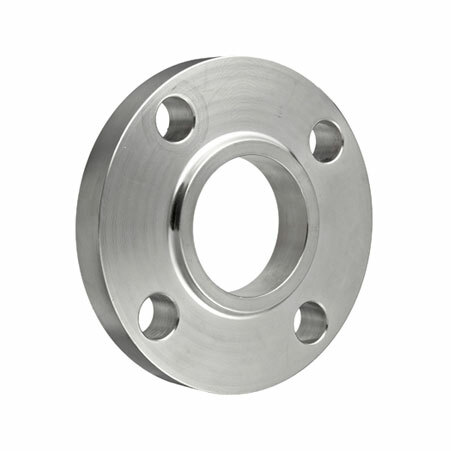 Across the globe, there are numerous suppliers, exporters, and makers of these STAINLES STEEL FLANGES (304L/316L/904L), but considering the right one is essential when it comes to buy industrial related products. Therefore, we would like to suggest you choose Amco Metals that are selling out these different grades of flanges at the market leading costs. 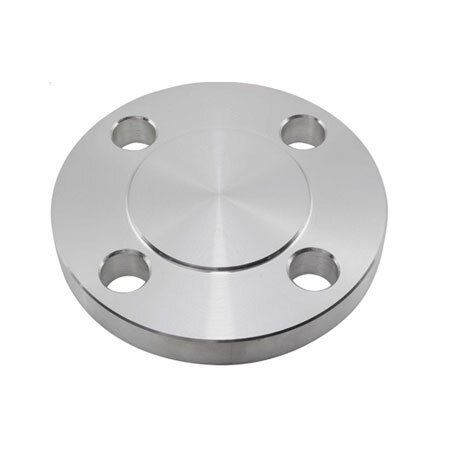 Not only this, we manufacture the stainless steel flanges using the top-notch quality untreated stuff which is first tested and certified in the labs. These three – 304L, 316 and 904L grade stainless steel flanges are being highly used for industrial applications such as mining oil refineries, steel, and aluminum manufacturing, industrial construction, equipment manufacturing, automobiles and more. These are also available in the wide range of dimensions, welding methods, sizes, spacing patterns and materials with us. So, now everything depends on your needs and choices, which one flange you need to buy. 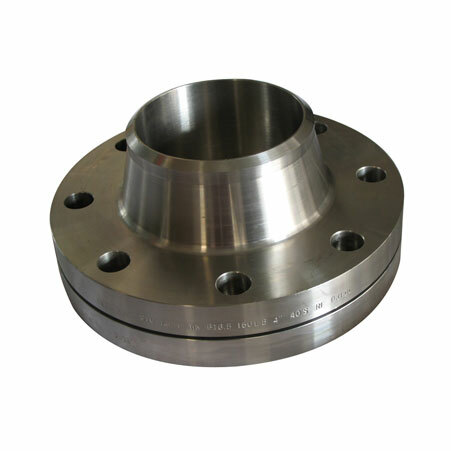 Generally, these flanges are prepared in accordance with the patron's specifications. These are highly resistant to corrosion, has a durable finish, robust construction, no defects, duress for long life, high pressure, increased strength, and so on. These are available in various classes such as 300 #, 150 #, 1500 #, 2500 # and more. With the respect of international standards and industrial guidelines, the products are made and then go through different tests like radiography, third-party inspection, macro test, flaring test, corrosion resistance test, and else. STAINLES STEEL FLANGES (304L/316L/904L) are being considered by many industrial sectors due to its great features and long functional life. And moreover, they are better to keep at the place where the temperature is soaring and pressure too. SS DIN 1.4306, 1.4307 Socket Weld Flanges, SS 316L Spectacle Blind Flanges, ASME SA182 SS Lap Joint Flange, SS 904L Nippo FlangeS Stockist, SS 316 Slip On Flanges Manufacturer. Saudi Arabia, Ecuador, Brazil, Bangladesh, Nepal, South Africa, Venezuela, Malaysia, China, Yemen, Bhutan, United States, Greece, Ireland, Nigeria, Canada, Poland, Mexico, Kuwait, France, Qatar, Romania, Mexico, Iraq, Vietnam, Peru, Belgium, Taiwan, Jordan, Argentina, Japan, Kenya, Colombia, Lebanon, Norway, Austria, Puerto Rico, Czech Republic, Germany, Bulgaria, Croatia, Pakistan, Gambia, Chile, Iran, Nigeria, United Arab Emirates, Israel, Namibia, Gabon, Sweden, India, South Korea, Spain, Indonesia, Lithuania, Switzerland, Australia, Ukraine, Slovakia, Zimbabwe, Morocco, Denmark, Ghana, Egypt, Bolivia, Hungary, Iran, Sri Lanka, Angola, Thailand, Serbia, Finland, Netherlands, Hong Kong, Tibet, Mongolia, Azerbaijan, New Zealand, Chile, Algeria, Belarus, Singapore, Portugal, Libya, Oman, United Kingdom, Kazakhstan, Turkey, Italy, Estonia, Macau, Costa Rica, Philippines, Afghanistan, Poland, Bahrain, Russia, Trinidad & Tobago,Tunisia. Bengaluru, Lagos, Singapore, Gurgaon, Ranchi, Noida, Aberdeen, New York, Geoje-si, Howrah, Al Jubail, Jakarta, Caracas, Brisbane, New Delhi, Manama, Rajkot, Karachi, Santiago, Sharjah, Seoul, Abu Dhabi, Chandigarh, Kuala Lumpur, La Victoria, Jeddah, Petaling Jaya, Dubai, Al Khobar, Jaipur, Ulsan, Gimhae-si, Muscat, Ahvaz, Dallas, Atyrau, Cairo, Hong Kong, Haryana, Nashik, Granada, Coimbatore, Jamshedpur, Ernakulam, Hyderabad, Secunderabad, Chiyoda, Bangkok, Vung Tau, Tehran, Busan, Ludhiana, Chennai, Ahmedabad, Courbevoie, Los Angeles, Lahore, Dammam, Moscow, Melbourne, Mumbai, Doha, Baroda, Algiers, Thane, Hanoi, Montreal, Sydney, Houston, Nagpur, Thiruvananthapuram, Calgary, Faridabad, Vadodara, Pune, Milan, Edmonton, Visakhapatnam, Bhopal, Riyadh, Perth, Kolkata, London, Ho Chi Minh City, Indore, Kanpur, Kuwait City, Rio de Janeiro, Colombo, Pimpri-Chinchwad, Mexico City, Madrid, Surat, Bogota, Navi Mumbai, Ankara, Toronto, Istanbul, Port-of-Spain.